Honeywell’s new T6 Series thermostats have not been available for very long, but they’re already a hit with contractors and homeowners alike! Now, Honeywell has made their T6 thermostats available for order through their private label program. For those unfamiliar, Honeywell offers the option of printing a contractor’s company name and contact information on the face of their thermostats. This printing is free, but private label thermostats must be ordered in full cases of 12 units. 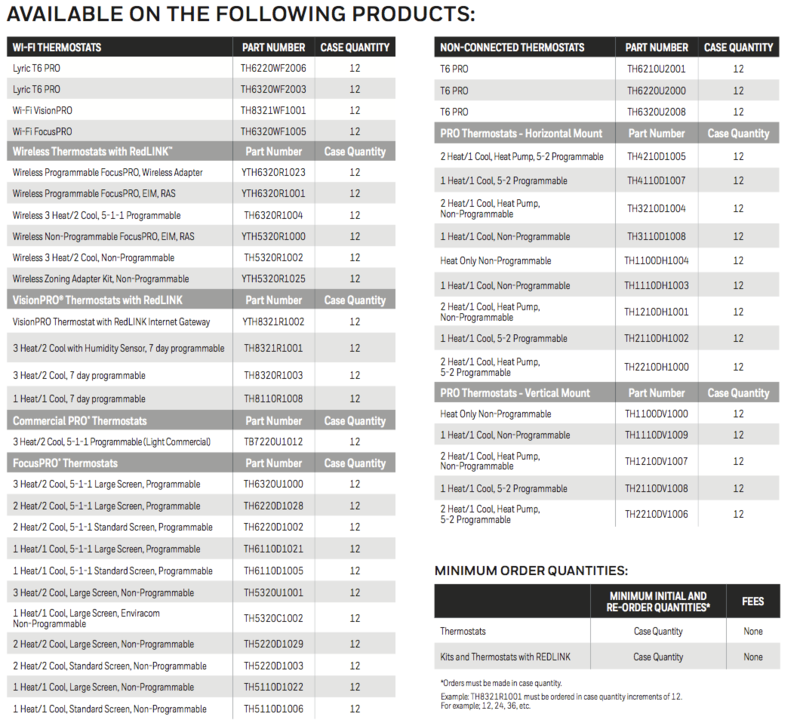 In addition to free printing, Honeywell also offers free, direct drop shipment–contractors can receive their custom products at their home or business. The benefit of this program is straightforward: your company will be front-of-mind every time that your customers are using their thermostat and your contact information will always be easy to find. For most homeowners, their thermostat is their HVAC system. They’re aware of the other parts, but the only time they really have to interact with a furnace or condenser is if something is wrong. 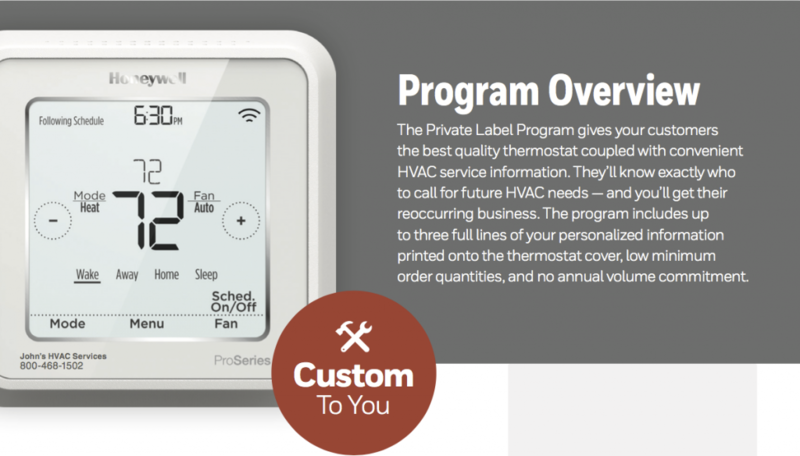 By placing your own private label on a customer’s thermostat, you make it much more likely that you’ll be contacted for follow-up business. Look at it this way: why wouldn’t you put a free advertisement for your business into every home that purchases a thermostat from you? Below is a full list of thermostats that are eligible for the Honeywell private label program. If you would like to order your own custom thermostats, just contact your local Able branch to get the ball rolling!